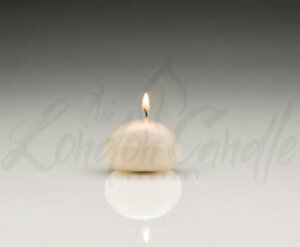 High quality, low priced and long burn ivory pillar candles. 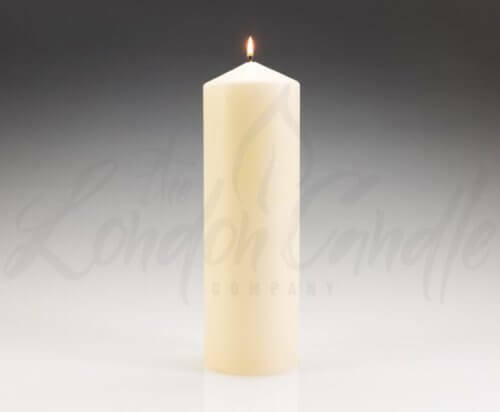 The London Candle Company stock an extensive range of sizes. Our pillar candles are manufactured in Germany to the highest specifications, the candles are drip resistant and long burn. Approximate burn times can be found in the description section below. 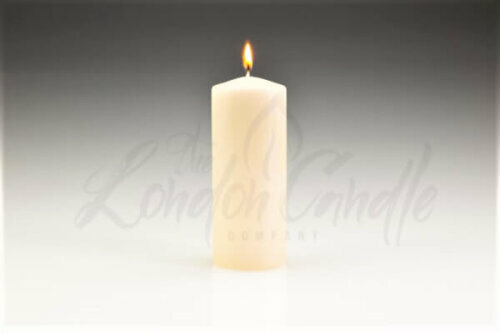 Please choose from the drop down option for all available candle sizes, case quantities and prices. High quality, low priced and long burn German manufactured ivory pillar candles. 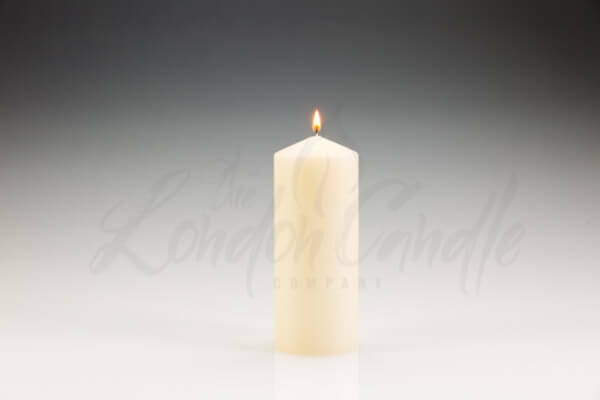 The London Candle Company supply a huge range of sizes. 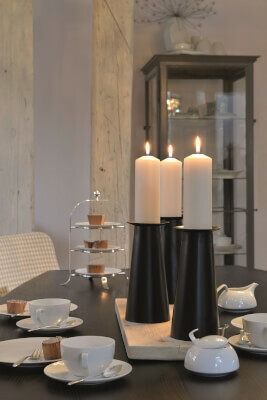 Accessorise your dining table with our collection of long burn ivory pillar candles. Popular for their robust exterior and enchanting glow, the use of pillar candles has always been favoured because they burn beautifully. 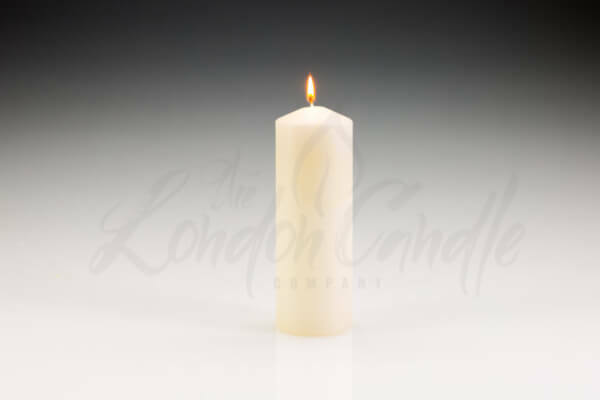 Our ever popular range of ivory single wick pillar candles are manufactured in Germany. 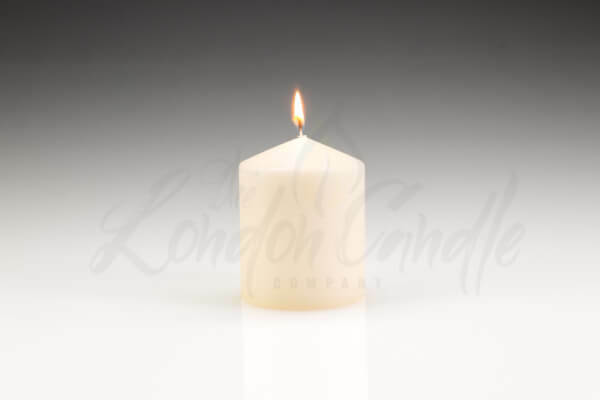 By using 100% paraffin wax and the best quality wick, we guarantee long burn and drip resistant candles. Additionally, to compliment our ivory pillar candles we stock a beautiful range of glass hurricane lamps as well as simple black metal candle holders. 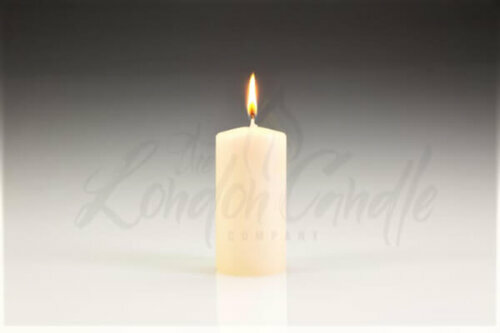 We supply: 40mm x 60mm pillar candles BURN TIME 10 HOURS. 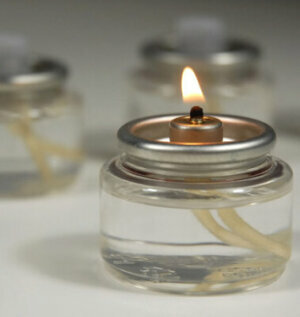 50mm x 100mm pillar candles BURN TIME 20 HOURS. 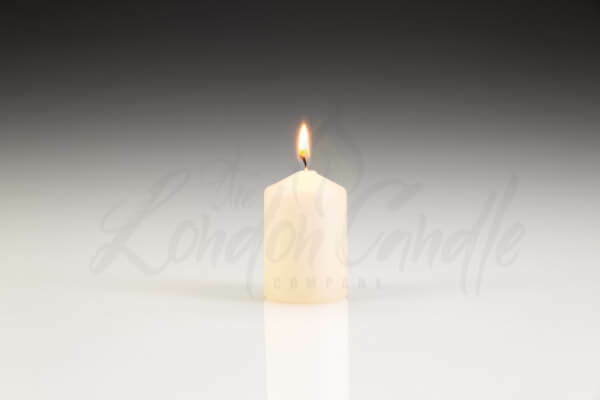 60mm x 120mm pillar candles BURN TIME 38 HOURS. 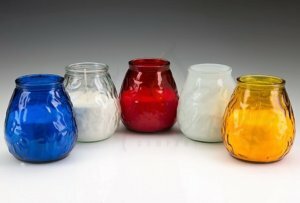 60mm x 150mm pillar candles BURN TIME 55 HOURS. 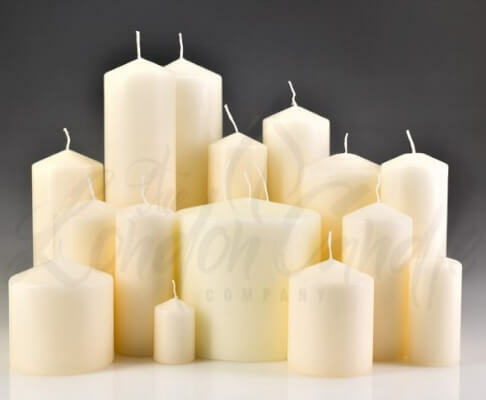 70mm x 150mm pillar candles BURN TIME 65 HOURS. 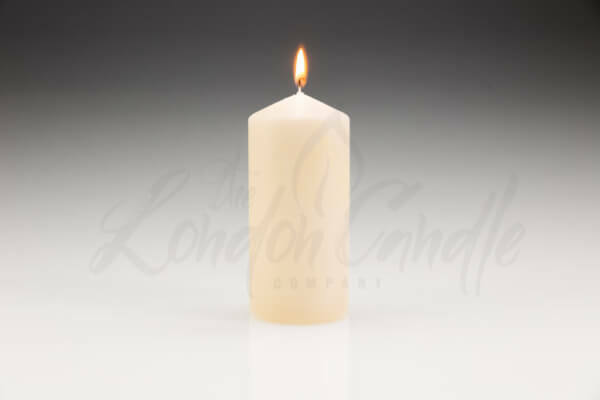 70mm x 200mm pillar candles BURN TIME 75 HOURS. 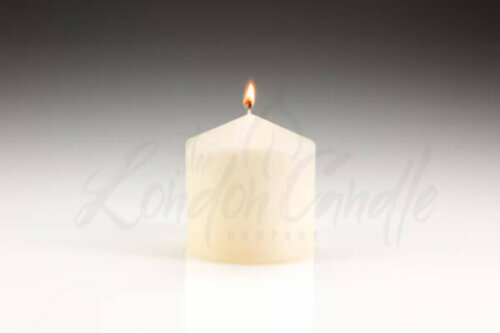 80mm x 100mm pillar candles BURN TIME 45 HOURS. 80mm x 150mm pillar candles BURN TIME 75 HOURS. 80mm x 200mm pillar candles BURN TIME 85 HOURS. 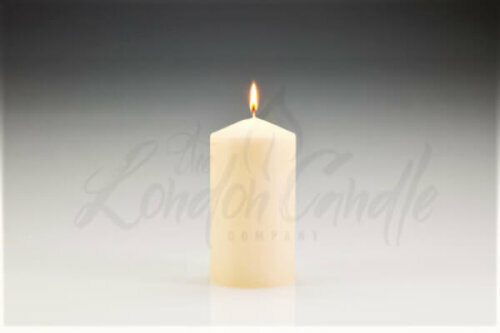 80mm x 250mm pillar candles BURN TIME 105 HOURS. 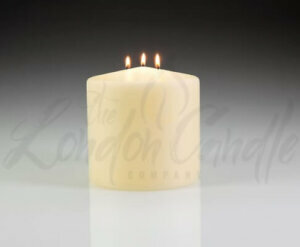 80mm x 300mm pillar candles BURN TIME 25 HOURS. 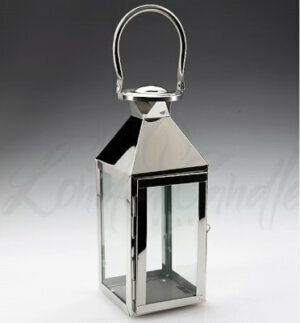 100mm x 100mm pillar candles BURN TIME 70 HOURS. 100mm x 200mm pillar candles BURN TIME 140 HOURS. 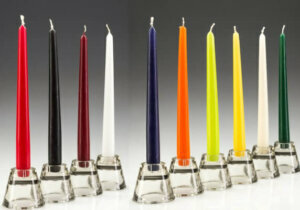 100mm x 300mm pillar candles BURN TIME 180 HOURS. 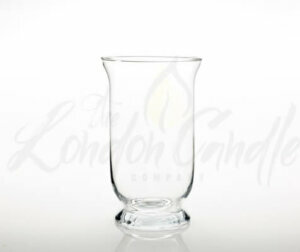 150mm x 150mm three wick BURN TIME 150 HOURS. *All burn times approximate and condition dependent. 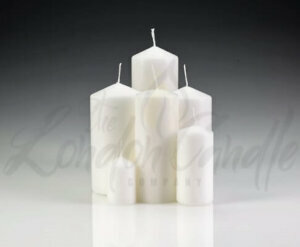 We also stock a wide range of white pillar candles, which are particularly popular for weddings. Plus, red pillar candles for the Christmas and winter festivities. 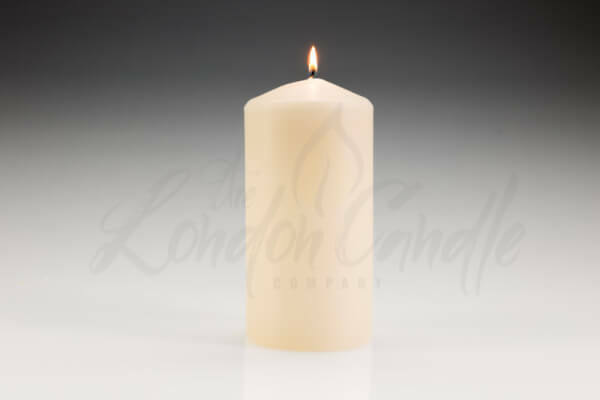 Furthermore, if you are looking for candles in bulk or high regular volumes, The London Candle Company offer bulk buy and group purchase discounts. Contact us sales@londoncandles.uk or call us on 020 7207 4458 for further information. Free delivery for orders over £50, long burn pillar candles. 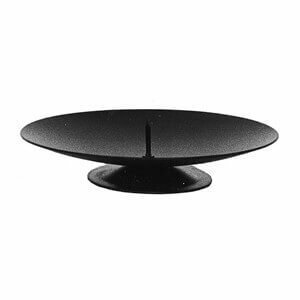 Top quality and low priced.